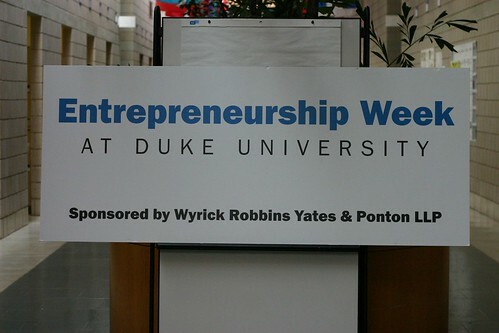 The first Entrepreneurship Week at Duke has come to a close. 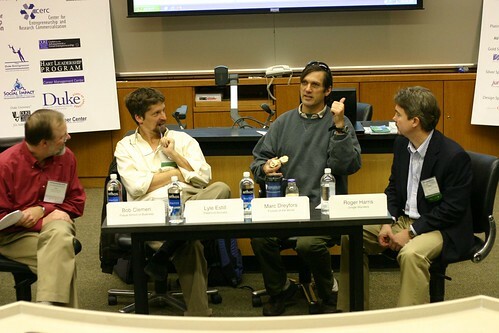 This morning there were three events: International and Environmental Entrepreneurship Panels and a Closing Lunch. 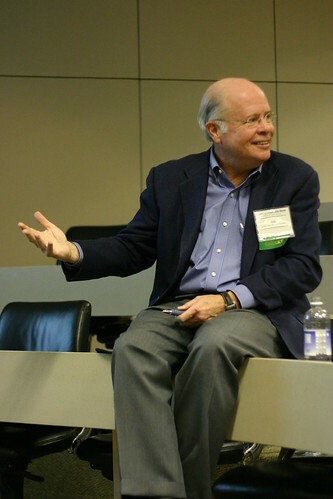 The International Entrepreneurship event featured Robert Taber, Vice Chancellor of Science and Technology Development at Duke Medicine. Mr. Taber is director of the Office of Science and Technology at Duke University Medical Center and he oversees patents and licenses for the entire university. He presented on the changing nature of entrepreneurship internationally, comparing the entrepreneurial ecosystems of China, Singapore, Italy, the US, and more. The day closed with a lunch and closing remarks by the co-chairs Howie Rhee, Larry Boyd, Kaycee Shoemaker, and Jeremy Welch, and by Larry Robbins from the eWeek headline sponsor Wyrick Robbins Yates & Pontin, LLP. Before I became an SEO specialist in SEO company linksmanagement.com. I thought I would be entrepreneur. And I was visiting Entrepreneurship weeks like this one. It is really interesting and useful.